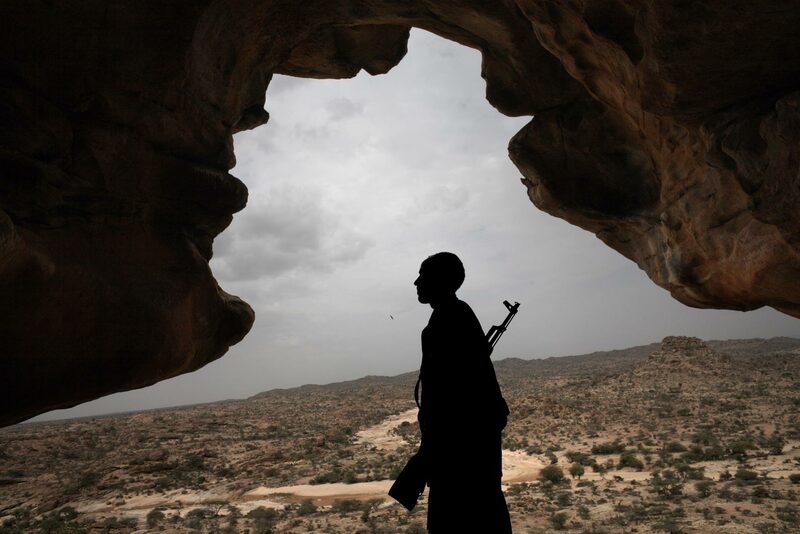 A soldier stands guard at the Lass Geel caves in Somaliland. Somaliland declared independence from Somalia in May, 1991, after a brutal civil war ended with the overthrow of military dictator Siad Barre. For the past 16 years the country has operated as a de facto state with relative stability; it has a constitution, a working political system, government institutions, police and military and its own currency.